Although Microsoft has made significant inroads in classrooms with Minecraft: Education Edition, it’s unwilling to turn a blind eye to the fact that Google has emerged as a major player in the education sector with its Chromebooks. Google’s budget-minded notebooks accounted for 54 percent of computer shipments to K-12 classrooms in the US in the third quarter of 2016 according to market analyst IDC. With manufacturers now turning out portables designed specifically for school-aged children like Acer’s new Chromebook 11 N7, Microsoft has decided to go on the offensive. The Redmond-based company on Tuesday announced a new cloud-based application and device management service as well as a collection of budget-minded Windows 10 PCs for schools which Microsoft describes as great alternatives to Chromebooks. According to Microsoft, more than 90 percent of schools use shared devices with nearly 50 percent of teachers having to serve as their own IT administrators in charge of setting up and managing devices. 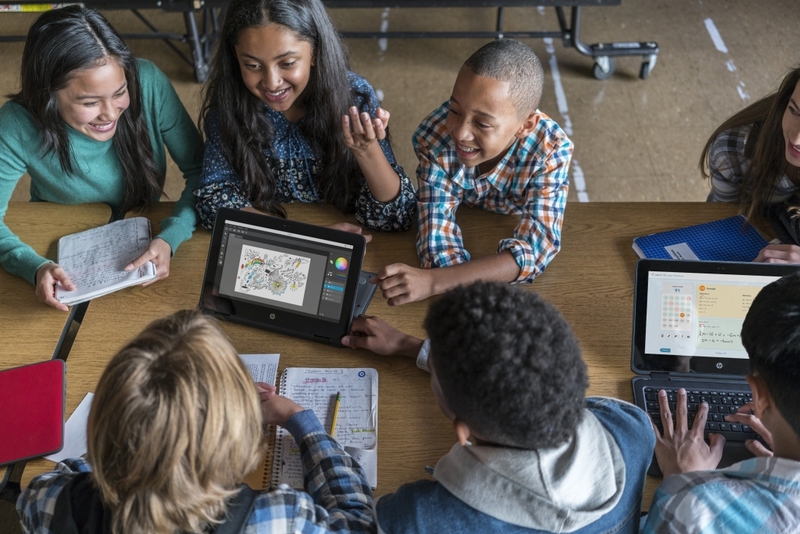 Built on its existing Intune service, Microsoft Intune for Education is said to simplify the setup and management process and allow educators to get up and running within minutes. On the hardware side, Microsoft showcased a handful of Windows 10 devices “at prices competitive to Chromebooks” including the HP Stream 11 Pro G3 for Education starting at $189, the HP ProBook x360 11 Education Edition starting at $289, Acer’s TravelMate Spin B118 Convertible at $299 and several new Lenovo notebooks.